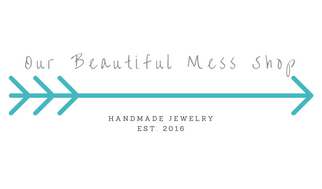 Our Beautiful Mess: OBMS: First Birthday! It has been a heck of a year and a heck of a ride getting to this year mark. Honestly I am thrilled with how things have gone this year. The shop has definitely exceeded my expectations - although to be fair I tend to think things are always going to go poorly, I guess that's the pessimism in me. I am definitely not going to be sad about those stats from the first year. Maybe to some that's small time and compared to some sellers it definitely is, but for this stay-at-home-mom who was looking for way to do something creative and do things my own way I'll definitely take it! Of course it hasn't all been sunshine and roses. And mostly I mean in between the cha-ching sound that happens on my phone when an order comes in, I have a business to run which means I have to learn about finances and bookkeeping and taxes and keeping inventory. That's definitely my least favorite part and definitely the part that I'm still learning. I actually spend a good chunk of time working on my bookkeeping system to figure out what works best for me and even just doing some good old fashion learning by studying the Etsy Seller Handbook. It's pretty much endless. But I have enjoyed this past year a lot and I'm really looking forward to year two! 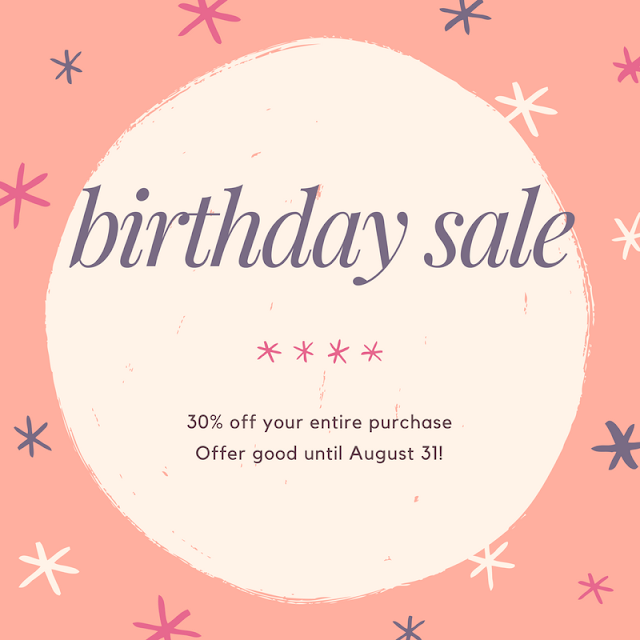 And since today is the first birthday of my little shop I have decided to celebrate with a sale through the month of August (also my birthday month so celebrations all around!). You can get 30% off your entire purchase which you should definitely take advantage of. Think back to school shopping or even really early Christmas shopping. Just use the code FIRSTBIRTHDAY to get your 30% off! 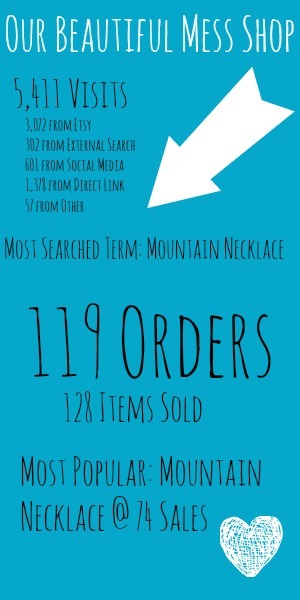 So make sure to check out the shop and find your perfect necklace. And I want to thank everyone for supporting my little shop throughout this last year. I have loved every minute of being a shop owner and I can't wait to see how year two goes!